Oslo-Iowa, September 29, 2017 – Bishop Thomas Zinkula will present the 47th Pacem in Terris Peace and Freedom Award to Dr. Widad Akreyi. The ceremony will begin at 2 p.m. on October 22nd in St. Ambrose University’s Christ the King Chapel in Davenport. The Pacem in Terris Coalition has selected Dr. Widad Akreyi, an international humanitarian and human rights defender, as the recipient of the 2017 Pacem in Terris (Peace on Earth) Peace and Freedom Award. Dr. Widad will receive the award at a ceremony to be held at St. Ambrose University, Christ the King Chapel in Davenport, Iowa, USA on October 22, 2017. Created by the Davenport Catholic Interracial Council in 1964, the Pacem in Terris Peace and Freedom Award honours individuals for their “achievements in peace and justice, not only in their country but in the world.“ Previous recipients include the 35th President of the United States John F. Kennedy (1964), leader of the Civil Rights Movement Dr. Martin Luther King, JR. (1965), Mother Teresa, known as Saint Teresa of Calcutta (1976), South African social rights activist Archbishop Desmond Tutu (1987), former President of Poland Lech Walesa (2001), and Vietnamese Buddhist monk Thich Nhat Hanh (2015). 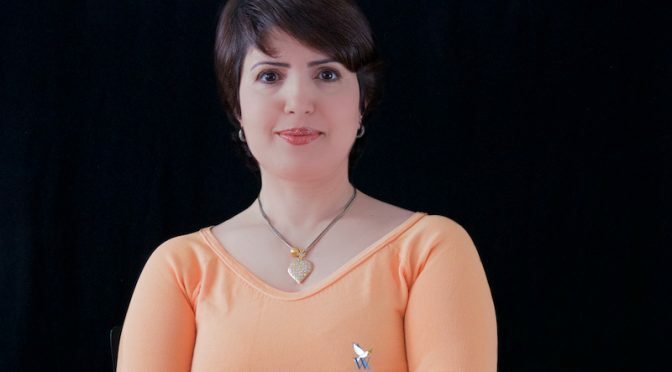 Dr. Widad Akreyi has been committed to promote peace and justice around the world from a very young age. Her visionary leadership, volunteerism and innovative initiatives inspire others to join her in the pursuit of freedom and human rights. Previous PostNew Publication: Report of UN Secretary-General António GuterresNext PostWebinar: Building Inclusive Cities: What is a Welcoming Standard?